Want this item tomorrow, Thursday 25th April? Order within the next 3 hrs 2 mins and choose Next Day Delivery during checkout. 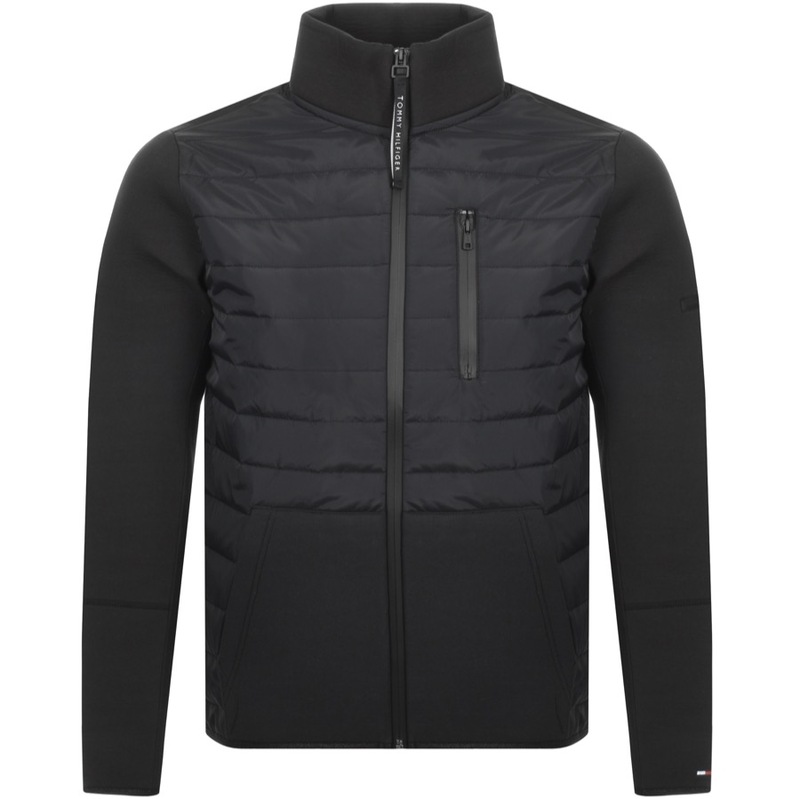 Tommy Hilfiger Bonded Mix Media Jacket In Jet Black, A full front black zip opening with a branded pull cord in black and white with a lightly padded stand up collar. Black trim detailing to the long sleeves and waistband with to pockets on the waist and one vertical zip fastening pocket on the left of the chest featuring a branded zipper in black. A contrasting lightly padded front in black with the signature embroidered Tommy Hilfiger Flag logo is situated on the cuff of the left sleeve in red, white and navy. Contrasting lining in green. 100% Cotton. Brand New Collection Of Tommy Hilfiger Jackets And Coats Live Online.